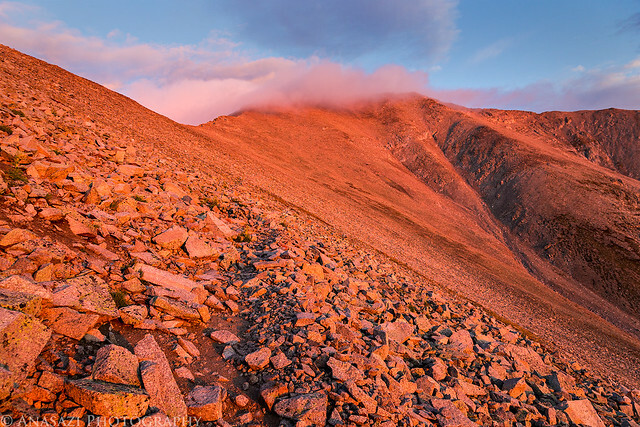 One of my goals this year was to summit four new 14ers, and after this trip (plus my weekend in early July) I have met it. 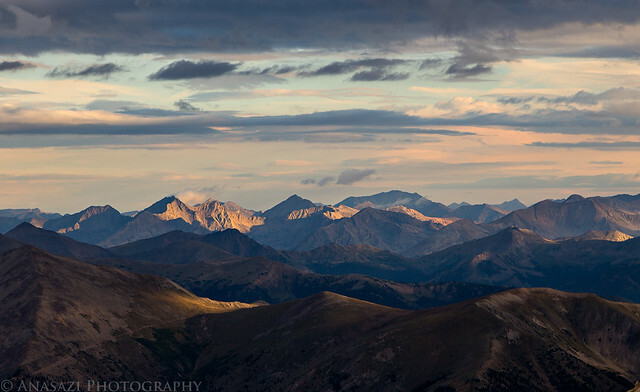 I’ve currently completed ten 14ers and hope to summit five more next year. This trip started out on a sour note. After leaving work on Friday afternoon and heading east on I-70, I got stopped in traffic because of flooding near Parachute. After waiting for over an hour, the state patrol turned us around near De Beque and said that the highway would be closed for about six hours. At this point my options were to cancel the trip or take a different route into the mountains and not arrive until much later at night than I had hoped. I didn’t want to cancel the trip, so I drove back to the Grand Valley and then took US 50 through Delta, Montrose and Gunnison. 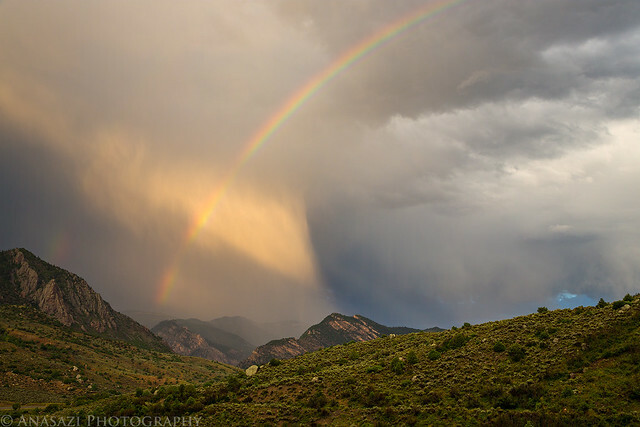 After descending from the Cerro Summit I pulled over to take a photo of this short-lived rainbow just before sunset. I didn’t realize that US 50 was under construction shortly before the Blue Mesa Reservoir. The road was completely torn up and and the driving surface was temporarily a gravel road. This slowed down my progress even more. I made a quick stop at the Subway in Gunnison for a late dinner and then finished the drive over Monarch Pass. 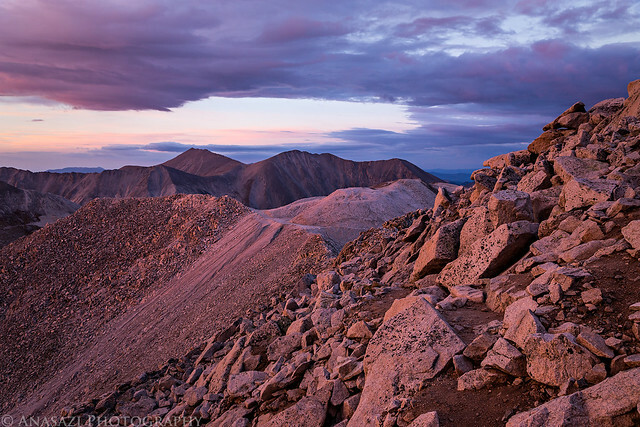 I was planning on hiking to the summit of Mount Antero in the morning and wanted to camp near the trailhead. 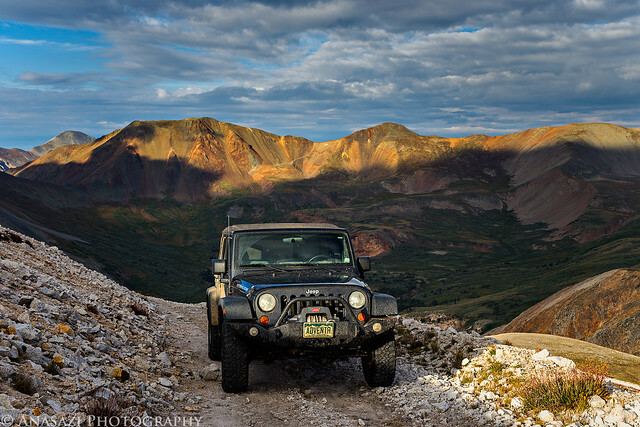 I took the Chalk Creek Road towards St. Elmo and turned off on the rougher road the climbs up Mount Antero. I passed a few campsites along the lower road, but I wanted to camp much higher near the upper trailhead. Ascending the narrow road and switchbacks up the mountain usually doesn’t bother me, but I’ll admit it was a little nerve-wracking driving up them in the darkness of night. Before reaching the upper trailhead, I took a side road that descended to Browns Gulch, which is where I setup my camp for the night. I had hoped to get to bed this evening around 9:00pm for an early Saturday start, but I didn’t end up getting to bed until 12:30am. It was a long and frustrating evening! Instead of setting my alarm for 4:00am like I was originally planning, I decided to get a little more sleep and woke up at 5:30am instead. I was close enough to the trailhead that it only took me about 20 minutes to reach from my campsite. I was on the trail a little after 6:00am. 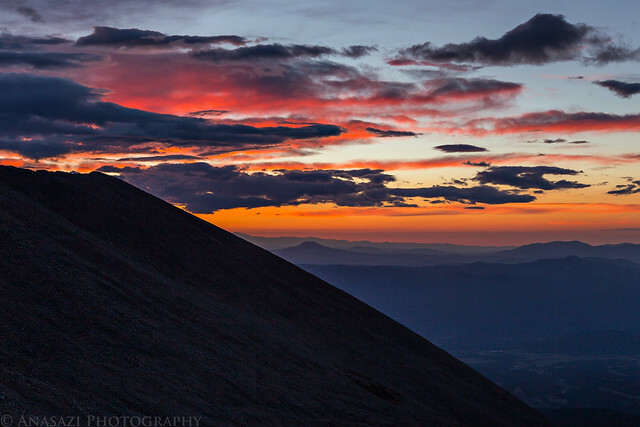 I started hiking just as dawn broke and I got to enjoy a colorful sky as I followed the ridge towards Mount Antero. Great color and clouds this morning. 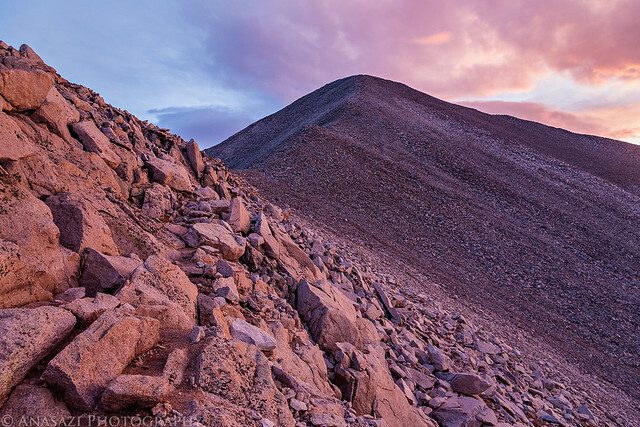 Alpenglow lights my way as I hike along the ridgeline towards the summit of Mount Antero. Looking the other way back down the ridge I was hiking up. 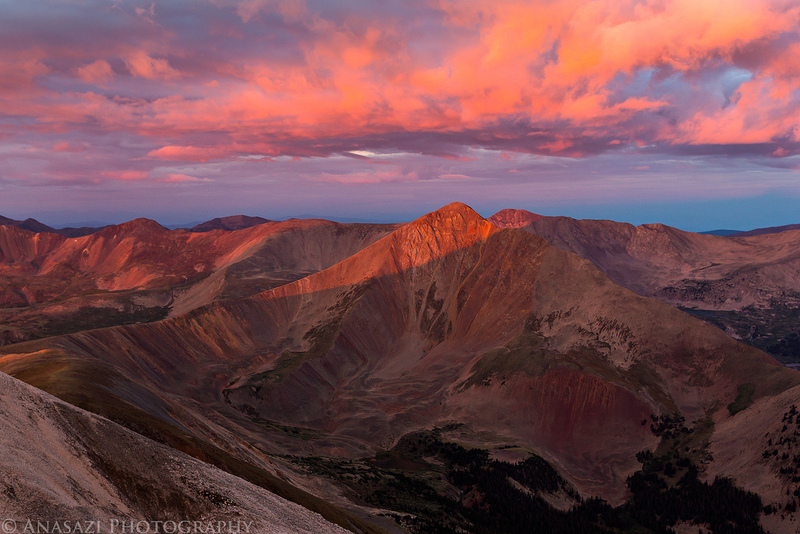 A beautiful sunrise over the Sawatch Range. 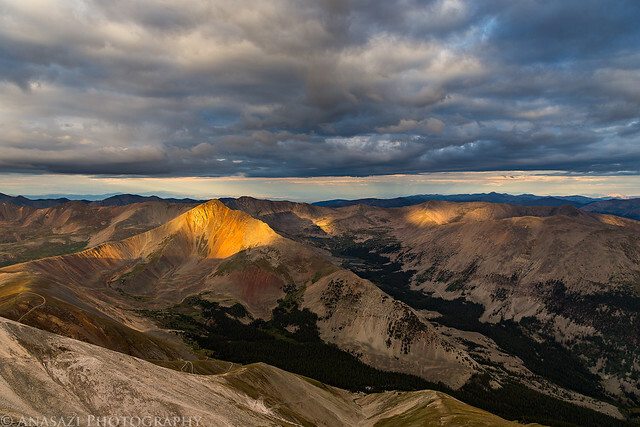 Sunlight breaks through the clouds over the Arkansas River Valley. 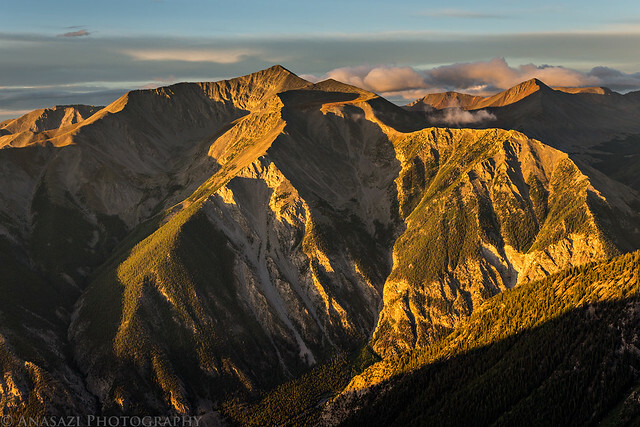 Early morning light strikes the top of Mount Princeton on the other side of Chalk Creek. I planned to hike to that summit on Sunday. Spotted light and nice clouds over Baldwin Gulch. 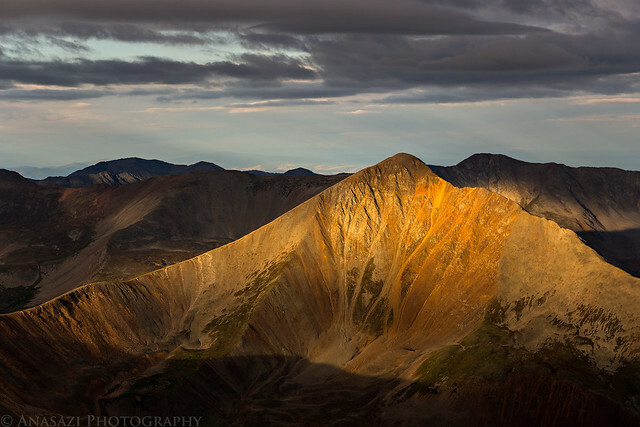 A closer look at the nice spotlight on Cronin Peak. 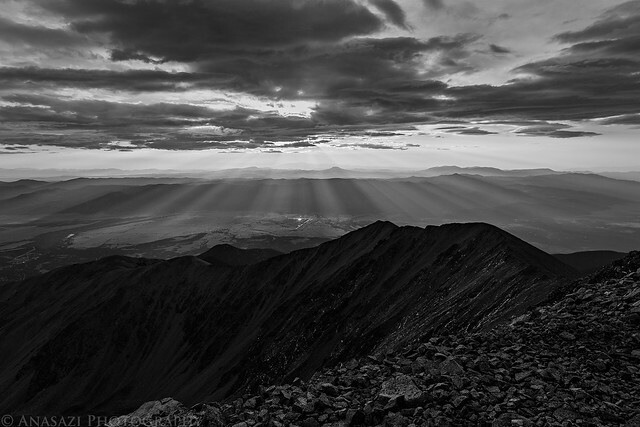 An expansive view from the 14,275′ summit of Mount Antero. 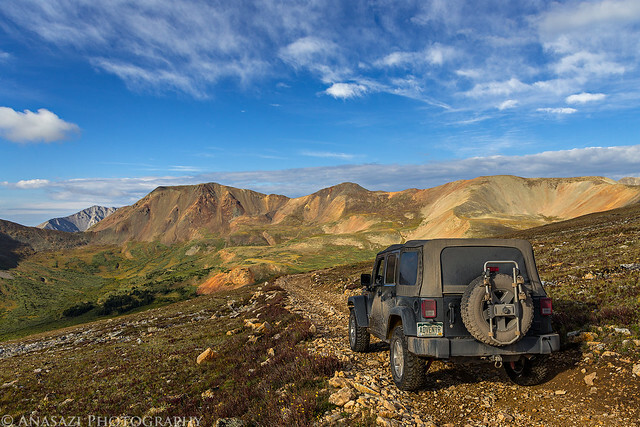 After enjoying the summit by myself for a while, I descended back down to my Jeep and then decided to drive over to nearby Mount White. The road up Mount White with nice light on the peaks in the background. From Mount White I drove back down to Browns Lake for another short hike. 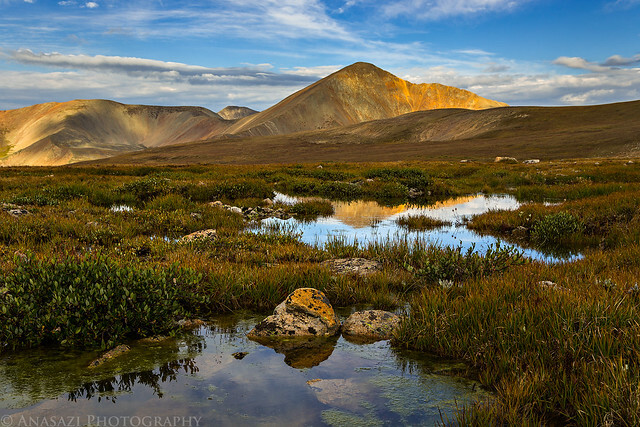 I passed these small tarns on the way down from Mount White and stopped for a photo. Beautiful scenery on my hike along Browns Lake. 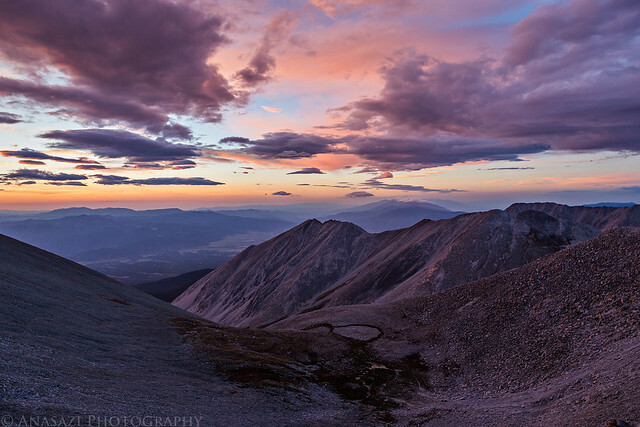 A view of the Mount Antero switchbacks I had driven up the night before. 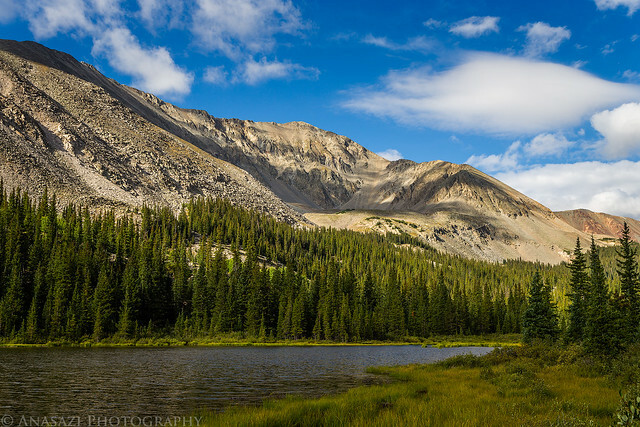 After descending back to Chalk Creek, I thought it would be a good idea to take Tincup Pass over to Taylor Park and then return to Buena Vista over Cottonwood Pass for a late lunch. 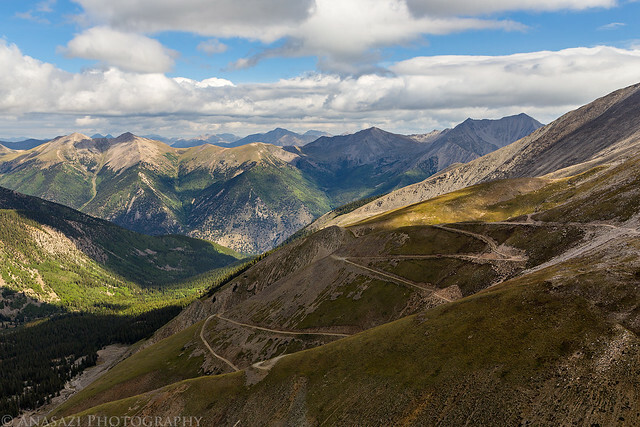 It has been a few years since I have driven over Tincup Pass, but I certainly don’t remember it being so bumpy! By the time I reached the smooth gravel road near Tincup I was happy to be off that rough trail. When I finally reached Buena Vista, I had a late lunch and then took the road up Mount Princeton so I could find a campsite for the night. I ended up finding a nice site a little ways past the radio towers and setup camp. Even though I was tired from a lack of sleep the previous night, I was unable to get any rest. I didn’t sleep well this night and probably didn’t get any more sleep than I did the previous night. 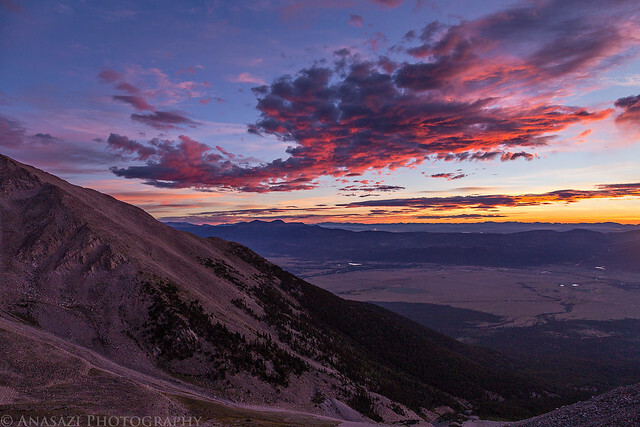 I was tired, but that wasn’t going to stop me from reaching the summit of Mount Princeton. My alarm went off on Sunday morning at 4:30am and I was up at the trailhead and starting my hike shortly after 5:00am. I started the hike in the dark, but there was plenty of moonlight to light the way so I didn’t need to use my headlamp at all. It was a very peaceful start to the day. Amazing color and clouds to start the day. 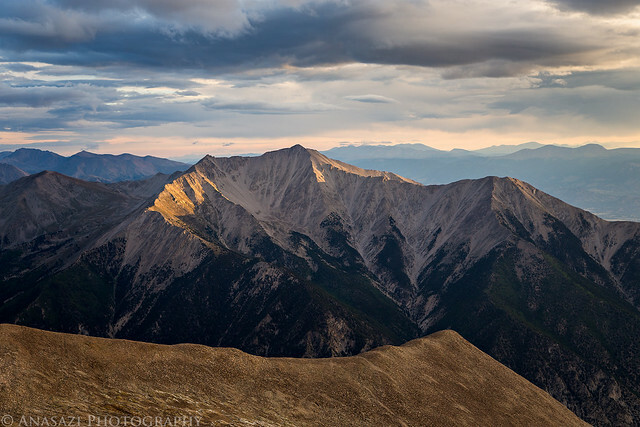 Mount Princeton shrouded in clouds in the soft dawn light. 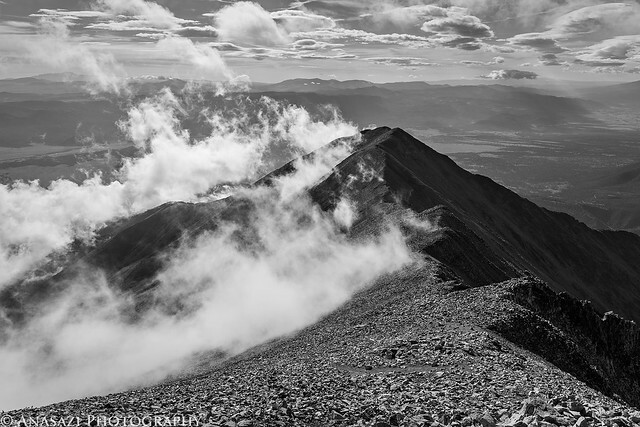 A view across to Mount Antero when I reached the top of the ridge. 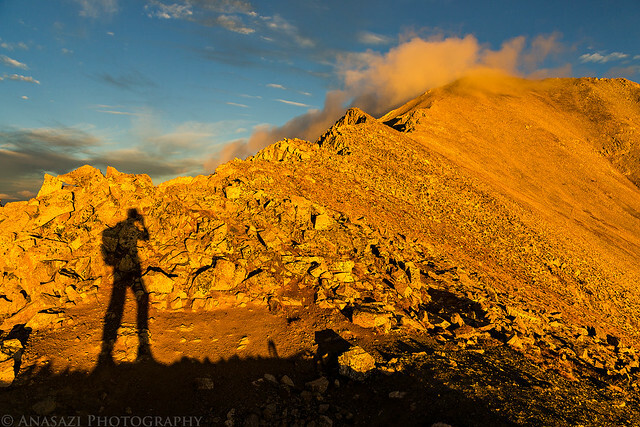 The final ridge to the top of Mount Princeton bathed in warm early morning light. 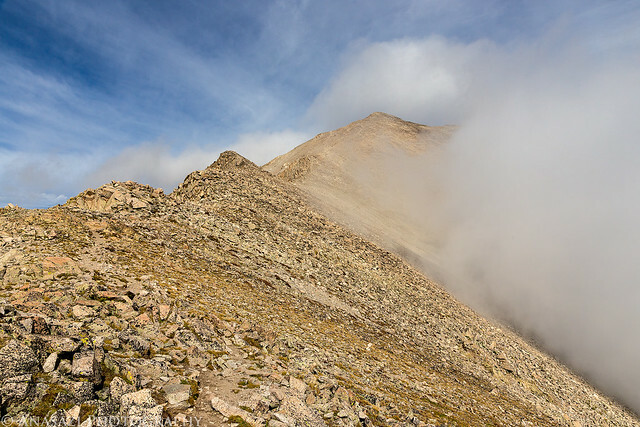 Clouds lingering along the ridge as I hiked back down from the summit. Looking back up at the summit just before the clouds completely hide it from view again. 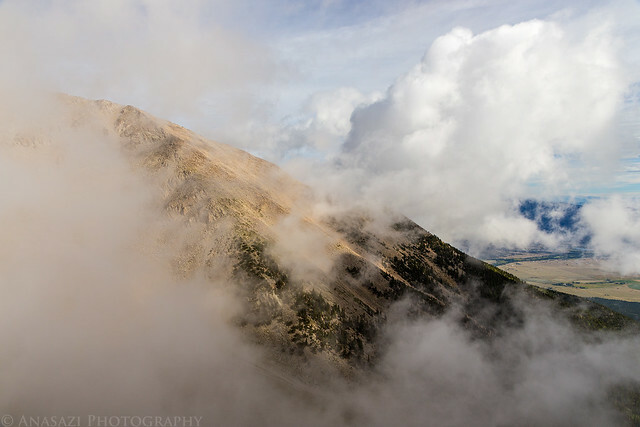 The clouds put on a nice show as I hiked back down. Following the trail down through the clouds. 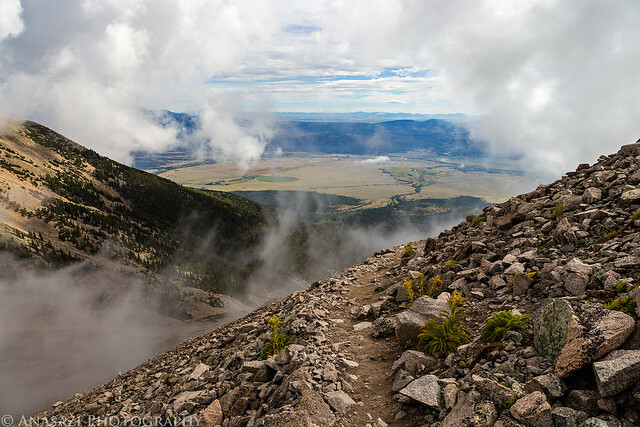 I must say, out of the ten 14ers that I have hiked so far, Mount Princeton is probably my least favorite. Even though the trail was only two miles to the top from the upper trailhead and the views were nice, the trail mostly crossed large boulder fields which really started to annoyed me after a while, especially on the way back down. When I reached my Jeep, I drove back down to load up my camp and then started the drive back home. I took I-70 back home so I could grab a burger from GRIND in Glenwood Springs and see the aftermath of the flooding near Parachute. When I made it back home, I went right to bed and took a nap so I could try to catch up on some much needed sleep. It was a tiring but fun weekend. As always, I’m blown away by your photos. How do you get such vivid images? Do you utilize lense filters? I live in the desert and fail to capture the reds and yellows that do seem to do so easily. I’m a newbie with my Nikon and a push in the right direction would be helpful. While I usually carry a polarizer filter with me, I rarely use it. I didn’t use it for any of these photos. The best advice I can give you on capturing great colors is to make sure you are out at sunrise and sunset when the colors are their most vivid!